A chicken rendang is basically a stew rendered with all our fresh Asian spices and herbs in coconut milk. This Chicken Rendang recipe is not grilled or pan fried. 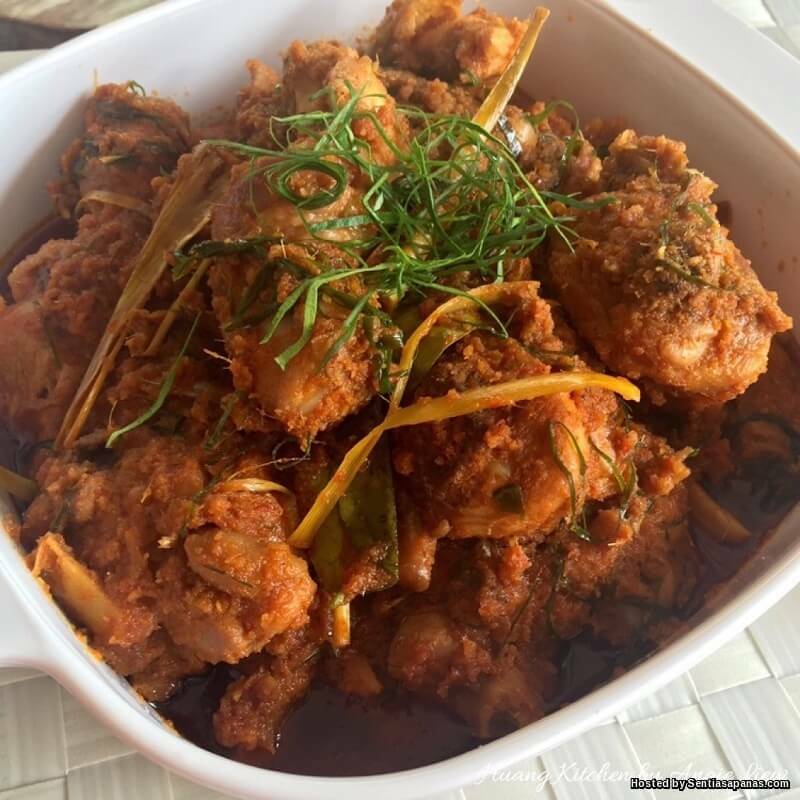 Some people feel intimidates with making Rendang, but Don’t be! Making rendang is not difficult. The starting point to any Rendang is spice mix rich in lemongrass, galangal, shallot, garlic and chilies. Pieces of meat are slowly cooked in coconut milk and the spice mix until almost all of the liquid is gone, allowing the meat to absorb all of the complex flavours. One thing, when you start making Rendang, your kitchen will smell delicious. But remember, if you wanting the chicken skin crispy, it is like telling a French chef, why your coq au vin, chicken cooked in red wine, not having crispy skin. Redzuawan Ismail or better known as Chef Wan, born January 6, 1958, is a Malaysian celebrity chef. He has an associate degree in Professional Chef Training and Hotel Management from the California Culinary Academy and a Ritz Escoffier Diploma from the Hôtel Ritz Paris. In 2009, he won the Best Celebrity Television Chef of the Gourmand World Cookbook Awards. Combine the spice paste ingredients in a blender and blend until smooth. Combine chicken, spice paste and coconut paste into the pot and simmer for 30 min or until the broth is almost dry. Lower heat and stir in coconut paste. Season with salt and sugar. Add turmeric and stir well before turning off the fire. Decorate with red chilli and kaffir lime leaves. Serve with white rice.